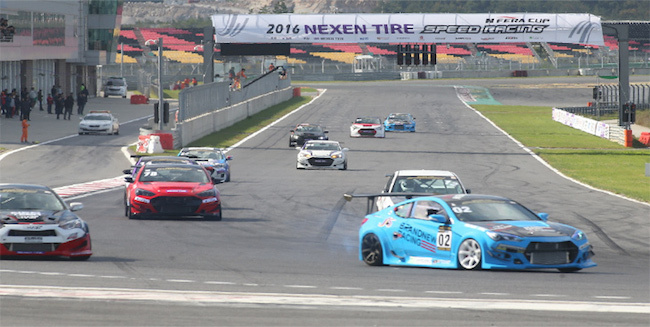 BUSAN, Sept. 8 (Korea Bizwire) — The penultimate 5th round of Nexen Tire’s Speed Racing Competition opens this coming Sunday at the Korea International Circuit in Yeongam County, South Jeolla Province. The motorsports event, which was first held in 2012, is the biggest domestic racing competition. What makes the race atypical of other motorsports events are the vehicles – 130 passenger vehicles and 30 recreational vehicles (SUVs and minivans) will be divided into 10 different classes and compete to advance to the final round to be held one September 22 at the same location. Extra activities planned are test drives on the circuit for drivers’ clubs, photo sessions with racing models, a “pitstop challenge” and more.